Clonlara Equestrian Centre is located in Clonlara, County Clare. It houses an international size indoor and outdoor arena, full grass livery area and offers trekking, trial riding and a cross country course. 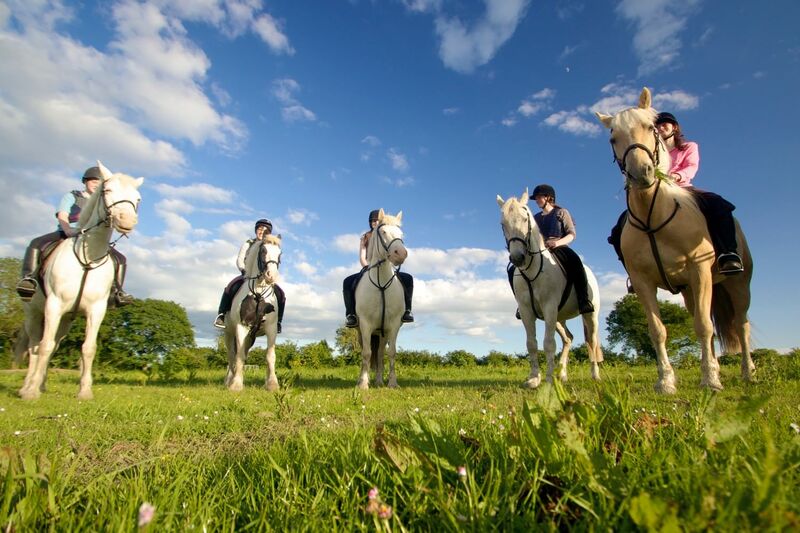 Riders of all abilities are welcomed.Clonlara Equestrian Centre is a family run business situated on 130 acres of farmland near Clonlara in County Clare. It hosts an international size indoor arena, an outdoor ménage, stabling for 65 horses, walkers, mini cross country course, ample parking and lovely scenery. It caters for all levels of riders, whether its for a show-jumping lesson, a trek in the countryside or a horse to go hunting on. Pony camps are also available throughout the year during school holidays. Ponies and horses may also be available to sell.